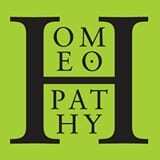 [post_content] => Improvements in course design and delivery, including live video streaming of classes, helped the North West College of Homeopathy to win the Society's annual Teaching Innovation Award. Under new principal Zoe Holden the college has improved accessibility to its programme with streaming and recording of all lectures, giving students the option of tuning in live or later. Rachel Sharpe, a former student, collected the award on the college's behalf. Alexandre Swan was recognised for her hard work and commitment to her homeopathy studies with the Society's Student Achievement Award. Alexandre, 27, who studied at the School of Homeopathy, received the certificate at the Society's annual conference in Oxford in March. A cash prize of £250 was also awarded. The award was received on her behalf by College principal Mani Norland. He said: "Alex constantly impresses me with her courage and conviction and her ability to keep moving forwards in this challenging course which asks for a commitment on both a personal and practical level." Mani also received the Teaching Development Award, won by the School of Homeopathy. The citation praised the school for an individualised approach to assessing student achievement, devised by tutor Nici Holland, which is integrated into their e-learning toolkit, describing it as "a great example of their commitment to developing their approach to teaching and learning". The Student Literary Prize went to Jo Magowan for her essay, Flying the Nest, which was published in the Spring issue of the Society's journal New Homeopath. 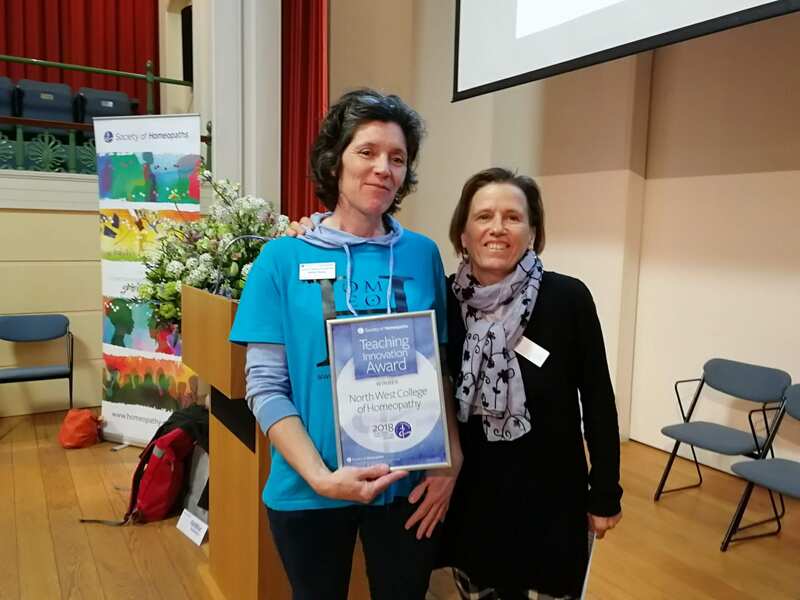 Improvements in course design and delivery, including live video streaming of classes, helped the North West College of Homeopathy to win the Society’s annual Teaching Innovation Award. Under new principal Zoe Holden the college has improved accessibility to its programme with streaming and recording of all lectures, giving students the option of tuning in live or later. Rachel Sharpe, a former student, collected the award on the college’s behalf. Alexandre Swan was recognised for her hard work and commitment to her homeopathy studies with the Society’s Student Achievement Award. 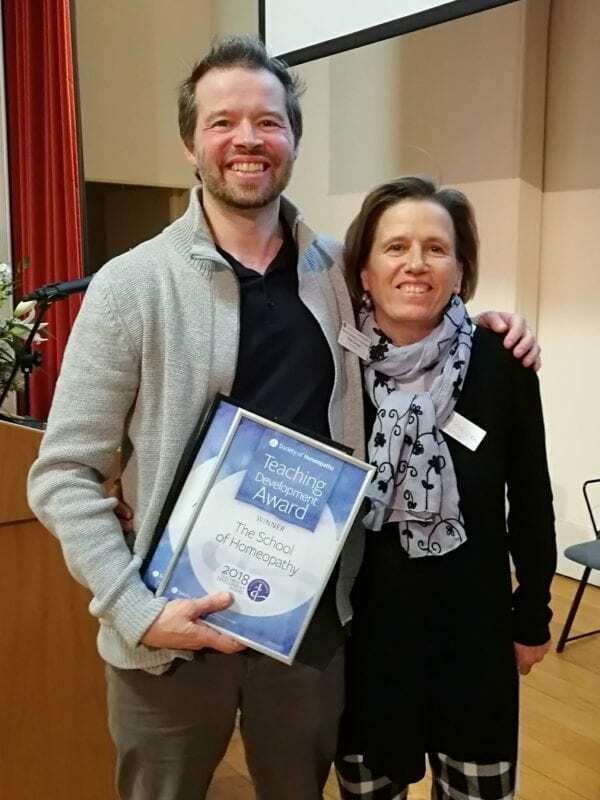 Alexandre, 27, who studied at the School of Homeopathy, received the certificate at the Society’s annual conference in Oxford in March. A cash prize of £250 was also awarded. Mani also received the Teaching Development Award, won by the School of Homeopathy. The citation praised the school for an individualised approach to assessing student achievement, devised by tutor Nici Holland, which is integrated into their e-learning toolkit, describing it as “a great example of their commitment to developing their approach to teaching and learning”. 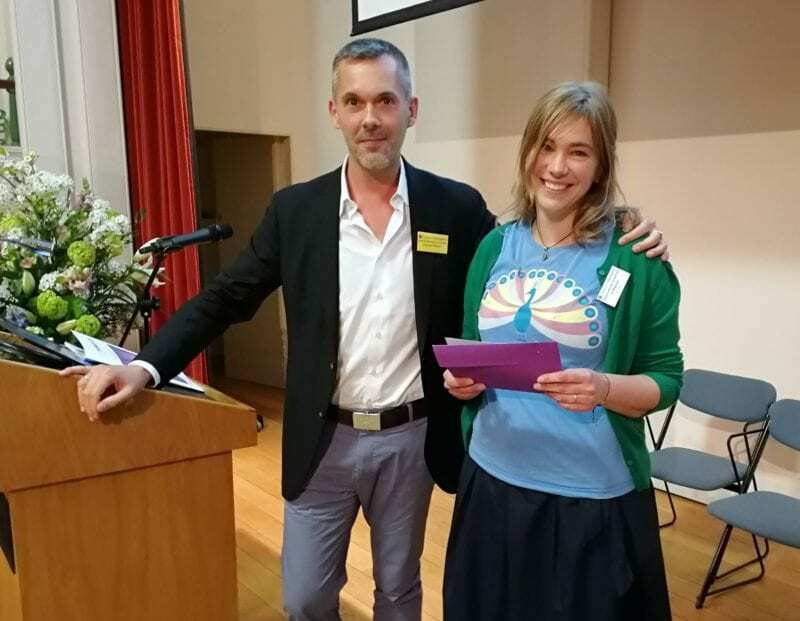 The Student Literary Prize went to Jo Magowan for her essay, Flying the Nest, which was published in the Spring issue of the Society’s journal New Homeopath.